With the short list for the 2014 RSL Ondaatje Prize due to be announced later this week, I’m publishing here an extract from the last of three books I picked from last year’s short list. 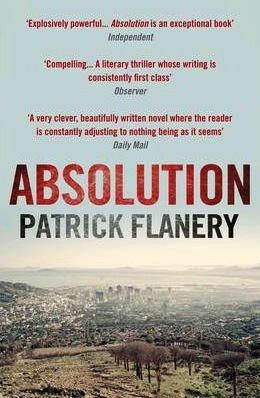 This one is from Absolution, by Patrick Flanery, a literary thriller set in South Africa. It’s an ambitious work for a debut, and one in which the ambition is fully realised. Its two central characters are both writers: one renowned and coming to the end of her career; the other starting out, hoping to make his name by writing her biography. It’s a book in which the Truth and Reconciliation Commission features, and in which the truth itself is constantly just out of reach. Flanery powerfully evokes the sights, sounds and smells of South Africa, as well as the fear (see the extract) that afflicts its better-off citizens in their fortress homes.